This is a different apple from Cranberry Pippin which arose in New York. The Cranberry of north Georgia was first mentioned in 1855 and was part of the large collection of heirloom apples grown by the late Henry Morton of Gatlinburg, Tennessee. 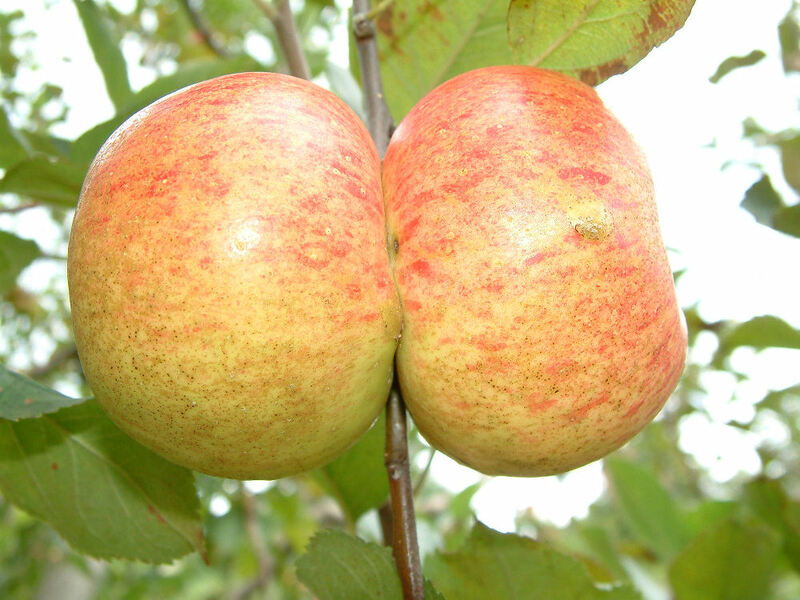 This medium-sized apple is roundish-conical in shape with light yellow skin having a faint red blush on the shady side and darker red on the sunny side. Ripens late August.